HOLY GANGA! 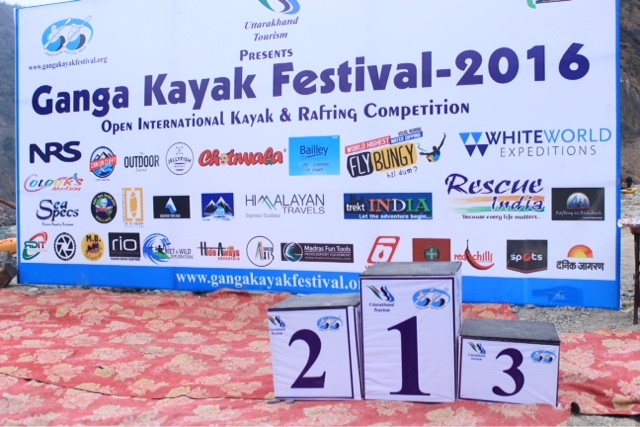 ~ India’s Ganga Kayak Fest Recap with Bhupi Singh Rana. byMike Toughill | DBP MAGAZINE ONLINE The World's Best Free Whitewater Publication. 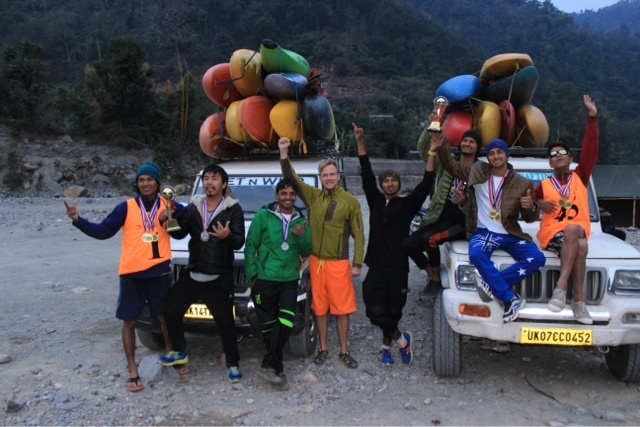 The second annual Ganga Kayak Fest, hosted in Rishikesh, India on one of the holiest rivers on earth (commonly called the river Ganges), was a huge success last February. Bhupendra Singh Rana, Bhupi to his friends, is a kayaker and rescue guru who heads up GKF, travels the world paddling and spreading good vibes. I finally got a chance to catch up with him and get the lowdown on India’s new big whitewater event. 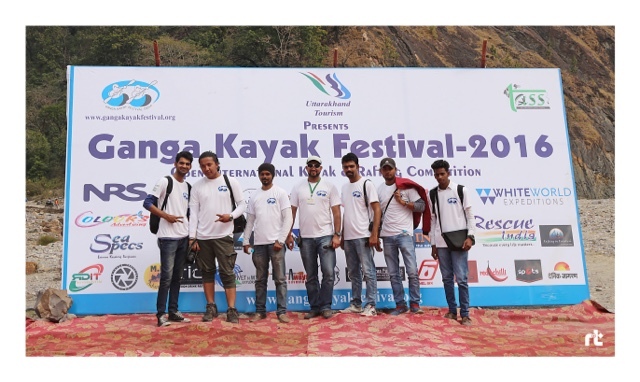 DBP: Ganga Kayak Fest 2016 was a huge success! How many people participated? Bhupi: GKF 2016 was surely a big year for us. We introduced an open international rafting championship on the river Ganges for the very first time and it turned out great. There were 14 rafting teams (around 80 competitors) and over 50 kayakers in both the male and female categories from four different countries. DBP: You lined up the best sponsors yet this year. Mention a few? Bhupi: Even though kayaking is still a pretty new sport here in India, we were able to get some awesome sponsors on board. We are very thankful for all of our sponsors. Some of them have been with us since day one. GKF would like to give a huge shout out to NRS, Uttarakhand Tourism, Fly Bungy, JellyFish Water Sports, Adventure Axis, Madras Fun Tools, Bailley Water, Level Six, SeaSpecs and many more. DBP: For the many people who have never had the pleasure of traveling to India (like me!) please draw a picture of the valley and the local community. Bhupi: I get asked this question quite often about India – traveling to India is definitely the experience of a lifetime. The sights, people, and overall experience is unforgettable. As a traveler/kayaker you will be forever changed by a journey to India. Please see the below Facebook kayaking community pages to get in touch with the local kayaking community and updates. Kayaking in India is a year round destination – you can always find a place to paddle there regardless of the season. DBP: What makes India the next big adventure destination? 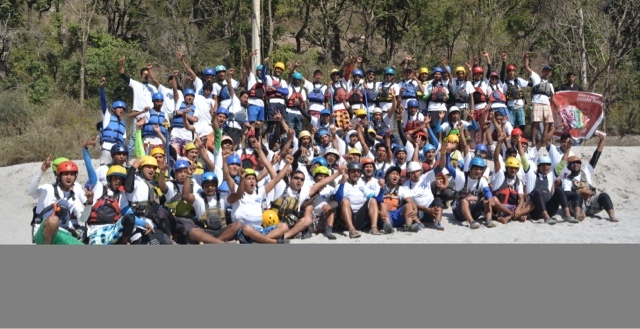 Bhupi: The adventure sports industry in India has been growing really fast these past few years. There is a variety of rivers all across the country that can be paddled at any time. There are huge Himalayan mountain ranges that are waiting to be trekked. You can check out this video for a glimpse of the kayaking and rivers in India. DBP: The top paddlers at GKF are an impressive bunch. Can you introduce a few of the locals to the international stage, along with their performances this year? Bhupi: It is great to see the local athletes stepping up to the next level and continue impressing the crowd with their completion results. 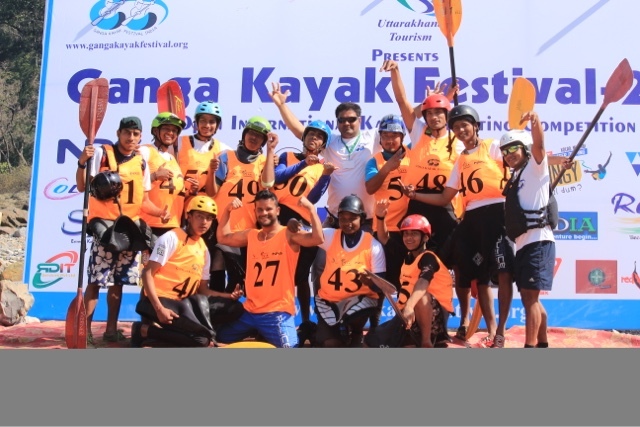 Some of the local kayaking stars are Rishi Rana, Sohan Rana, Sanjay Rana, Ayodhya Prasad, Balam Rana, Tsering Chotak, Dinesh Pandey, Rohit Chauhan, Ashu Rawat and Promod Magar. DBP: We are very stoked that there is a small yet vibrant female kayaking community competing at GKF. Tell us about a few of the ladies. Bhupi: It’s always great to have girls and youth being part of GKF and showcase their skills on a competitive International level. 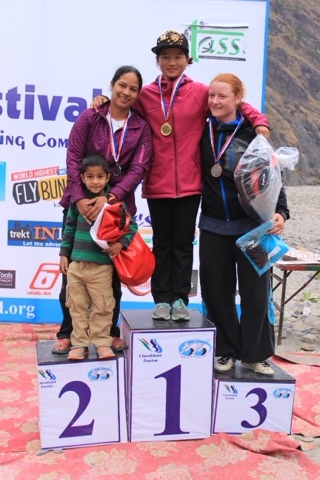 We had the defending champion Goma Sunuwar (Nepal), 2014 champion Sunita Chauhan (India) and 2015 runner up Ann Jenks (England). Their runs were some of the highlights of the event. DBP: How was the audience participation? Bhupi: The audience at the Ganga Kayak Festival always been huge. 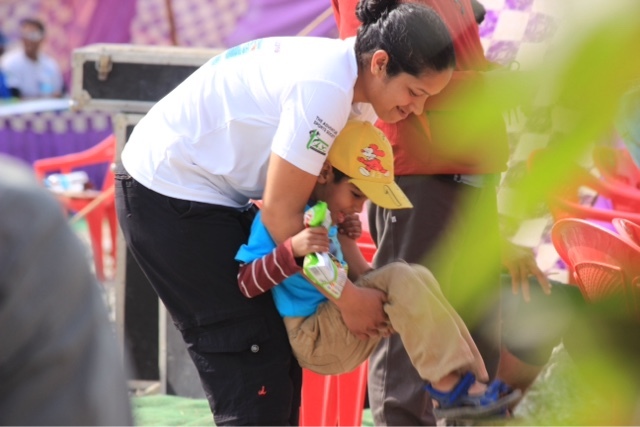 GKF 2016 witnessed over 3000 spectators during the 3 day event. We have the best fans! There are lots of games and prizes for spectators which makes it a great day for everyone. DBP: Good luck with all, Bhupi! What’s next on your agenda? Bhupi: We already started working on GKF 2017. We are very excited to see where the next edition will go. We will be moving the whole festival to a completely new location and river at Devprayag confluence rapid (grade IV+). 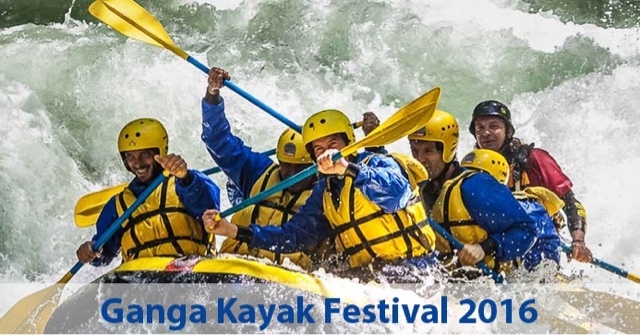 Please like our facebook page https://www.facebook.com/Ganga-Kayak-Festival-125373677628367/ or visit www.gangakayakfestival.org for more updates. Again a huge shout out to all our sponsors, media partners, volunteers, judges, safety team, video and photo teams and the entire team of the organizing committee, The Adventure Sports Society! GKF wouldn’t be where we are today without your support, motivation and encouragement. We are very thrilled for the next edition! A very good and informative article indeed. It helps me a lot to enhance my knowledge…..! DBP here… quick correction, 4th annual GKF not 2nd. it is the second year that we were an official media outlet.